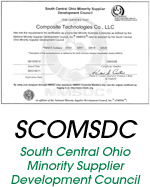 CTC Plastics buys not only from clients, but also from other companies finished with their plastic products. These used plastics then go to our certified lab to determine the exact composite. We can separate it into the correct future projects. Even though some of our products can be recycled, we ensure the composite you want is what you get. We test our plastics throughout the production process for quality and purity. Our procurement staff understands the pulse of the resin and recycling markets and offers a wide variety of programs and solutions for your waste streams; whether it’s helping you with a straight forward recycling management program or a closed loop return toll project, we are committed to offering you unmatched customer service and peace of mind that your materials are being purchased at fair market value, serviced in an efficient manner, and destroyed and used in various recycled resins and molded products. 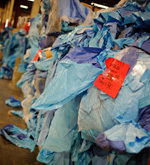 Go green with plastic – reuse, recycle and reinvest in your company.